Click on map or type location. Predicted conditions at your location affecting fire and smoke. 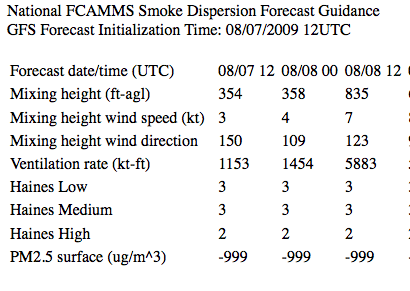 Predictions of ground smoke concentrations and atmospheric conditions affecting smoke using weather model data and smoke dispersion models. National scope. NOTE: Setting of region via fire location under development. Maps of the current state of air quality at both national and regional scale. 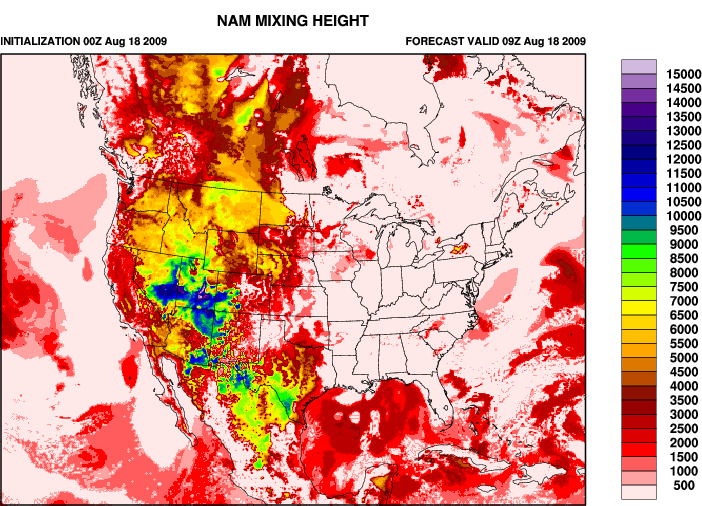 Maps are producted by interpolating real-time telemetered monitor data. NOTE: Setting of regional map via fire location still needed. 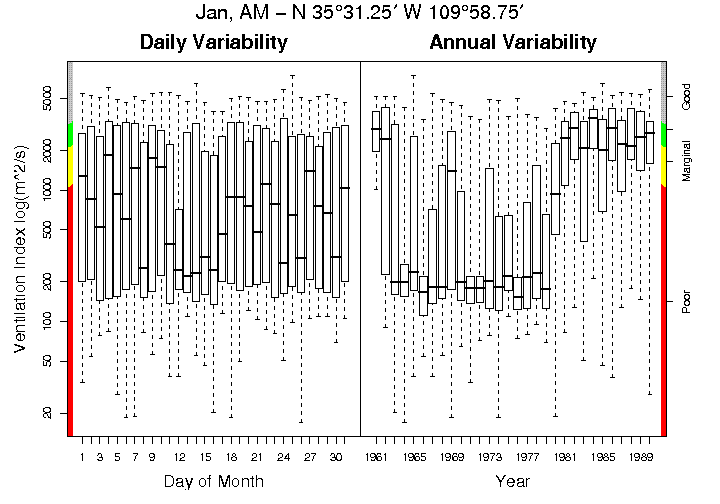 Fire information collected from satellites and ground reports coupled with the ability to generate trajectories on-the-fly. 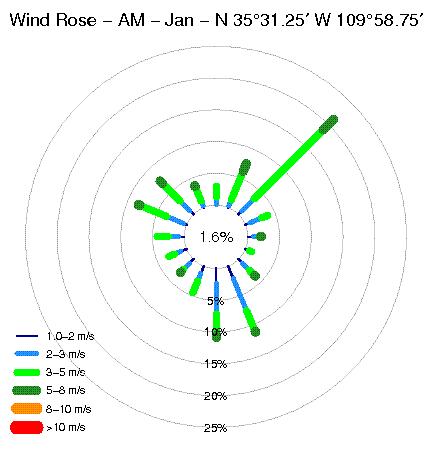 Trajectories are done using the HYSPLIT model and National Weather Service weather forecasts. 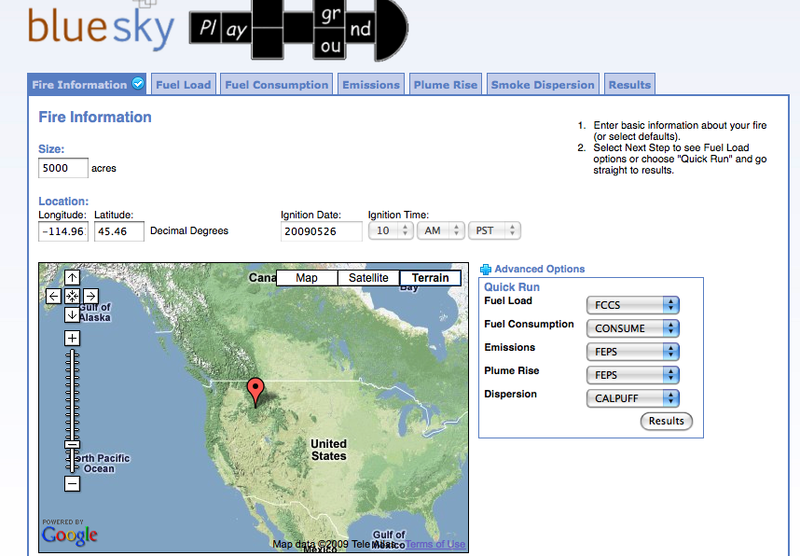 Interactive website that allows the user to choose their fuel loadings, fire consumption model, and more. Outputs are viewable at every step and can be changed before continuing. Model runs done while-you-wait, including smoke impacts. Currently single fire only. Playground is still in beta testing. We value your feedback.